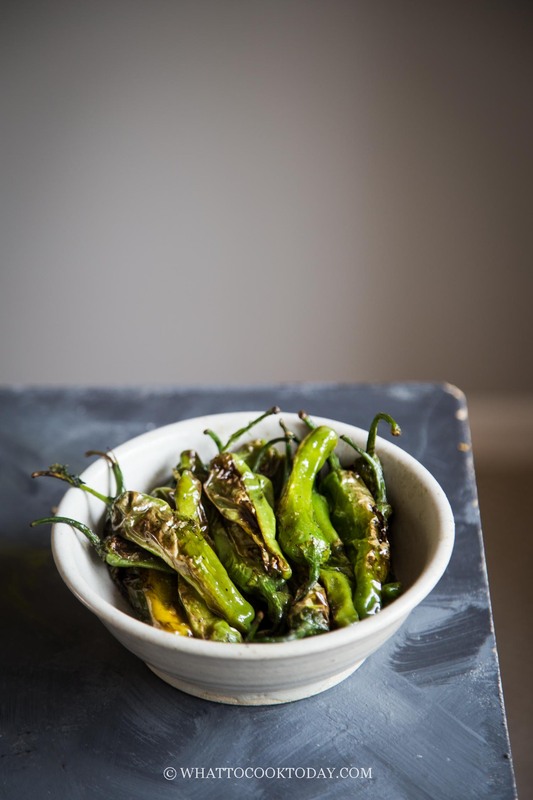 How To Pan Roast Japanese Shishito Peppers – These mild non-spicy shishito peppers are easy to roast and so great as a snack, appetizer, or side dish. So addictive to munch on. 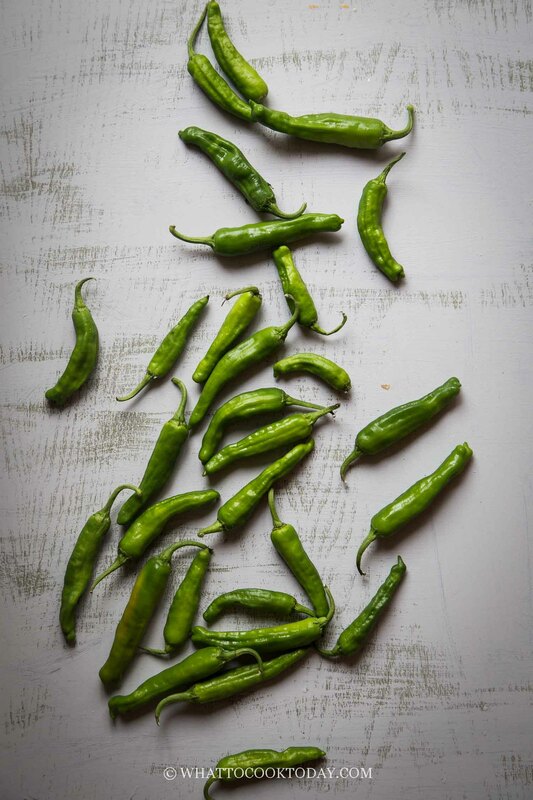 I heard about shishito peppers about 2 years ago when I was still active on Instagram when I saw few people posted roasted shishito peppers. I was so intrigued by it but never really seen them anywhere at that time. Last week I saw them at Aldi and I quickly snatched 1 bag and then went back for more! 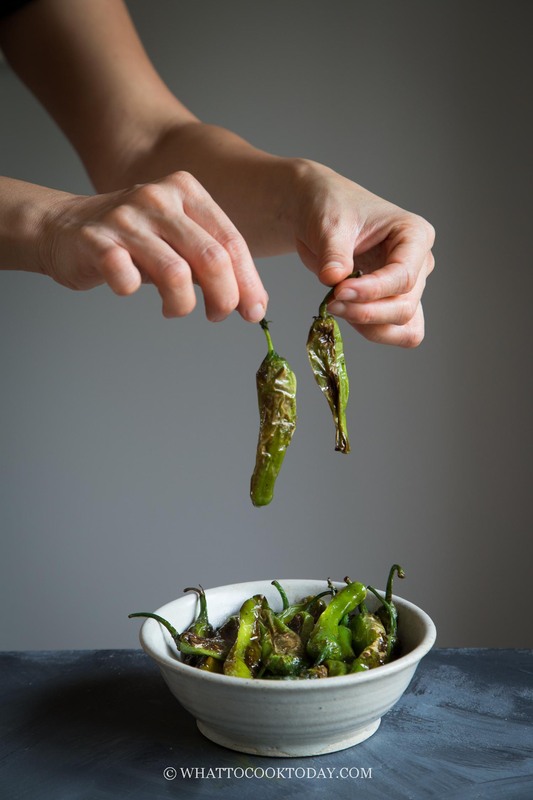 Have I told you that my 7-year old daughter loved roasted shishito peppers? Yup. I was quite shocked considering how picky she could be on certain things. 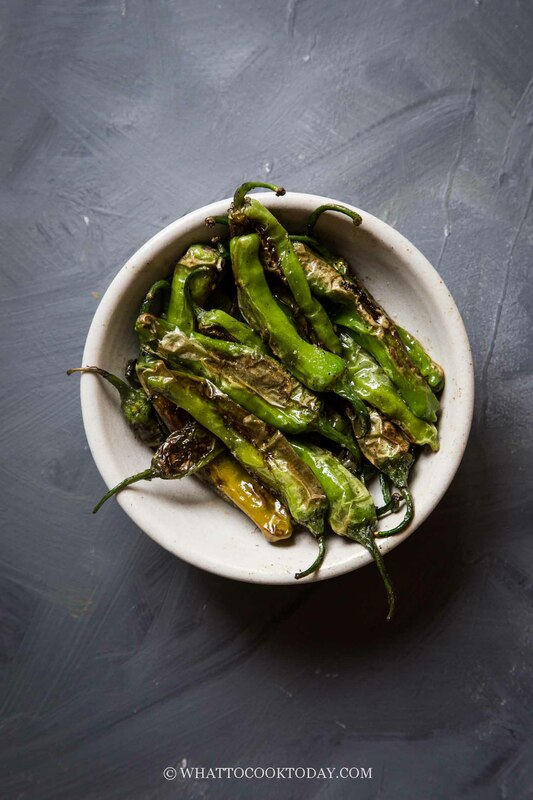 They almost look like jalapeno at a glance, but they are much slender, longer, and have some creases throughout the body. They are usually harvested when they are still green and will turn red when they are ripe. They are known as shishitogarashi in Japan, but shortened as shishito. No, they are not. If you don’t believe me (because I eat extremely hot spicy food), you can take my daughter’s words then! She says it’s not hot at all. HOW DO SHISHITO PEPPERS TASTE LIKE? They have that smoky and sweet aroma, but with no spicyness at all if you ask me. 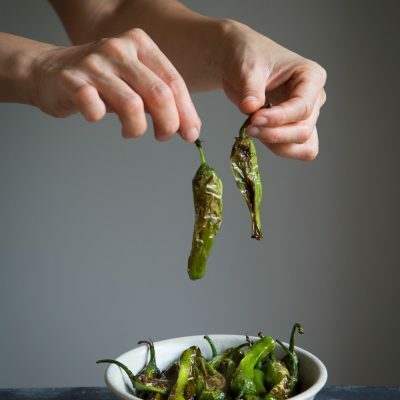 HOW TO COOK SHISHITO PEPPERS? They can be grilled, pan roasted, stewed, and eaten raw too. HOW TO STORE SHISHITO PEPPERS? If they are pre-packed, store them as is in the warmest part of your refrigerator and they can last up to two weeks max. If you buy them loose, simply store them in a plastic bag and then place in the warmest part of your refrigerator. CAN I FREEZE SHISHITO PEPPERS? You can freeze them in a freezer bag, but once you thaw them out, they will be limp but will retain its flavor. That will be pan roasting them. Seriously so easy. 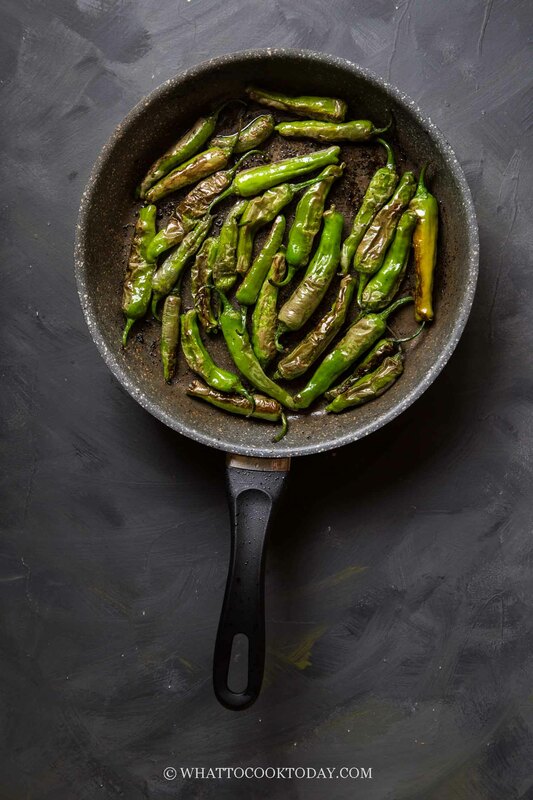 Shishito peppers have thin skin and so they get charred and blistered quickly. 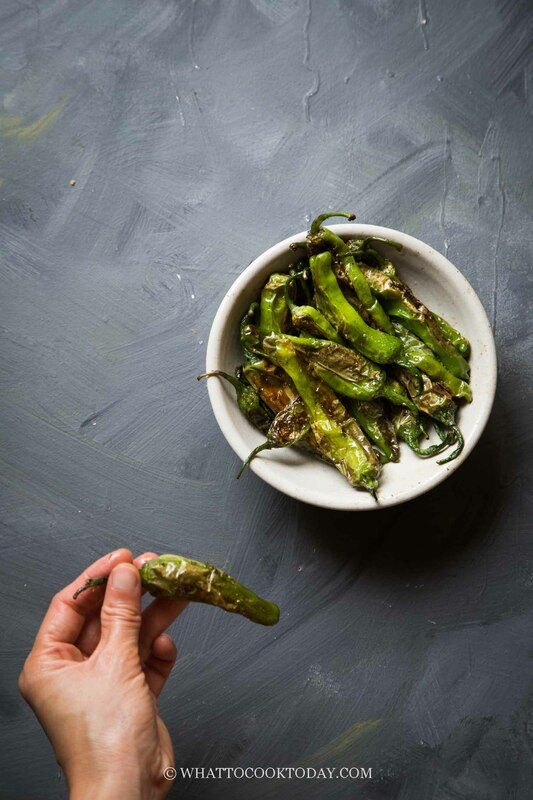 These mild non-spicy shishito peppers are easy to roast and so great as a snack, appetizer, or side dish.